As our guests at Dar Tamazerte you will be looked after by our staff, Mustapha, Fatima, Souda and Mohammed who will ensure that you have everything that you need for a relaxing holiday. Dar Tamazerte is fully catered. Breakfast is included and other meals will be provided as required. Guests will enjoy local and international cuisine served with elegance and charm; fresh flowers, linen napkins and fine china. 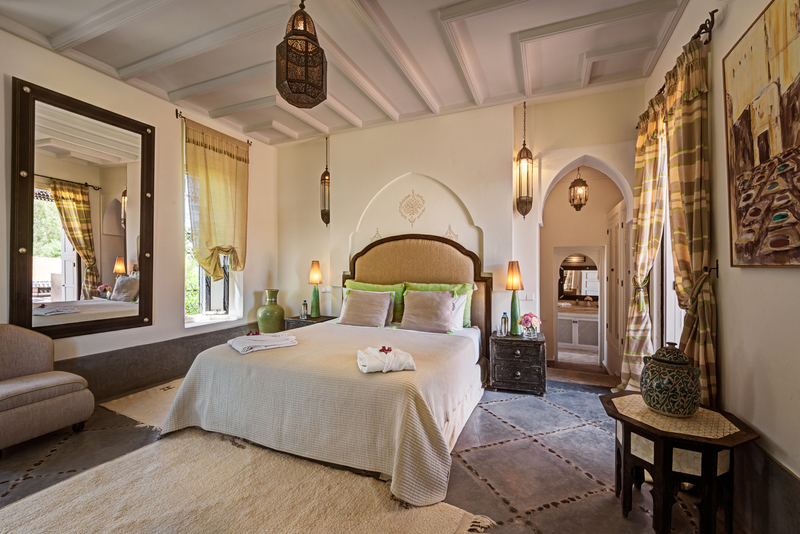 There are 3 bedroom suites in the main house and a separate bedroom suite in the garden close to the house. 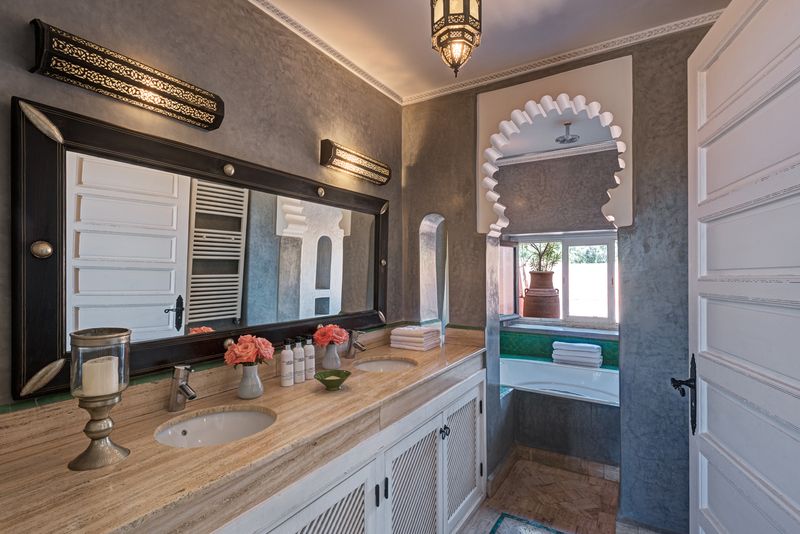 Each of the 4 bedroom suites comprise bathroom with bath or shower, a dressing area and an outdoor terrace. We appreciate that small details make a difference and all rooms have air conditioning, fine linen, towels, bathrobes, hairdryers as well as flowers, ipod docking stations and toiletries. Three of the bedroom suites are doubles and one is a twin. Extra beds can be added in two of the rooms on request. 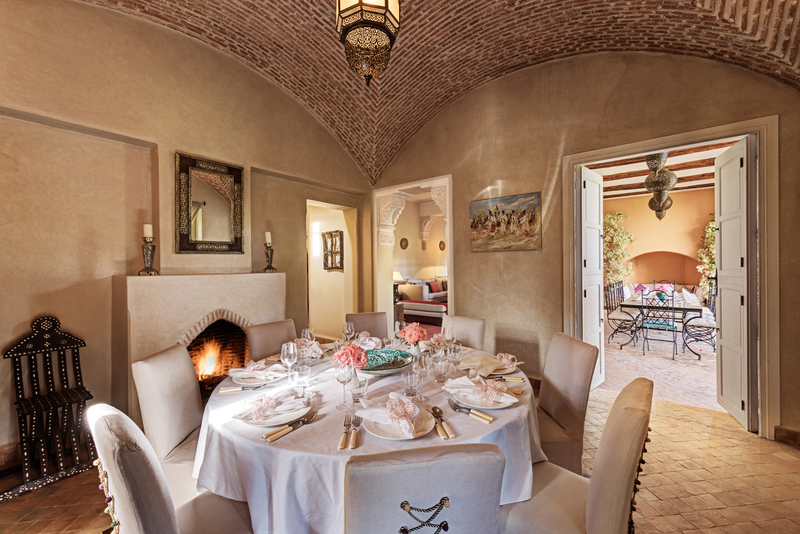 In addition to indoor reception rooms the villa has lots of outdoor entertaining space. Roof top dining terrace with views of the Atlas mountains. Shaded roof top seating area with stunning views perfect for evening cocktails. 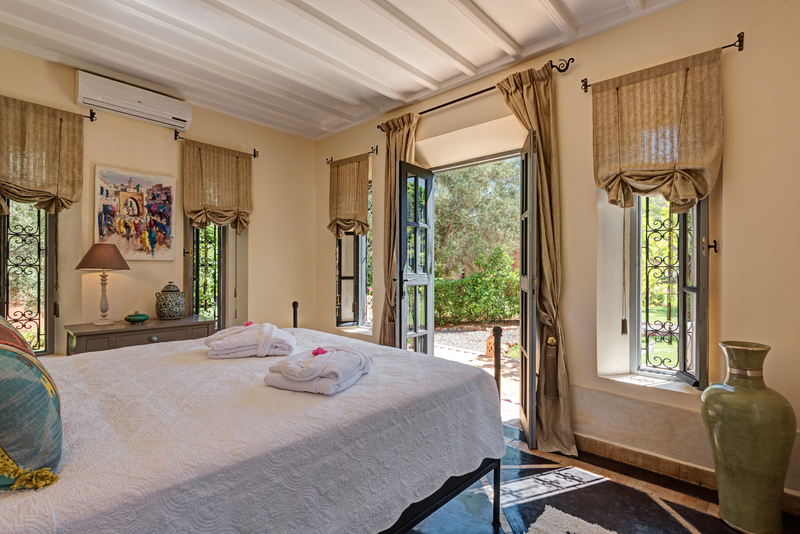 Dar Tamazerte is set in a stunning mature walled garden with lawns, paths that meander through lavender, grasses and roses to orchards with mature olive trees, fig, avocado, lemon, lime, orange, apricot, grapefruit and pepper trees. It also has a kitchen garden that provides some of the produce that you will enjoy during your stay and a Boule Court for those looking for some gentle competition. 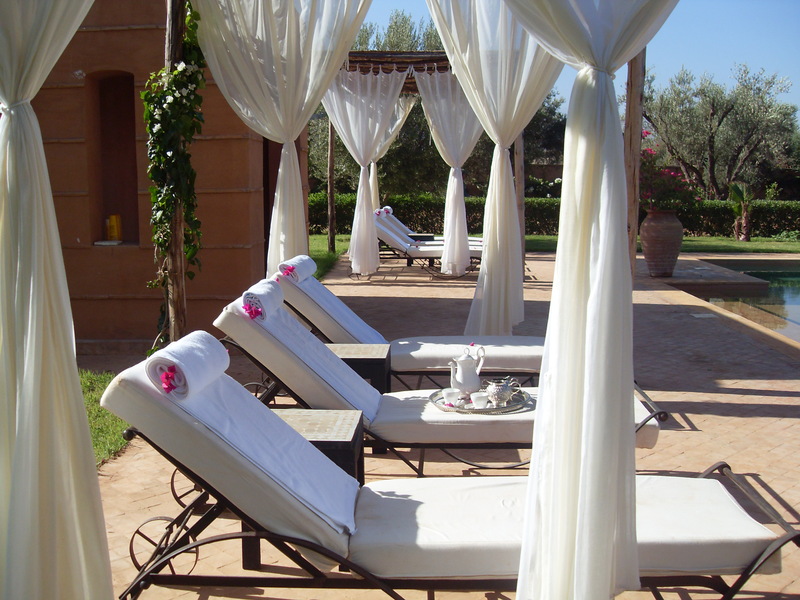 Completely private the swimming pool and surrounding terrace provides the perfect spot to relax under large shaded pergolas. If guests would like the pool heated during winter months this can be arranged at an additional cost. Mustapha speaks fluent English and French and he will be pleased to offer suggestions and make arrangement to ensure that you are able to make to most of your stay. Activities that can be arranged include day trips to the mountains or coast, golf, riding, quad biking, mountain biking, balloon rides and much more. Mustapha can also arrange for an English speaking driver to be available for any excursions. Depending on your requirements this is often less expensive than hiring a car and can be much more rewarding and relaxing.